Detroit Mi --- In time for the 2011 North America International Auto Show (NAIAS), Cobo Center is launching its music themed concession outlet, Eatsville USA located on the concourse. While enjoying the sounds of classic Motown music, Eatsville patrons can order food and beverages from some of the strongest brands in Detroit, like the Detroit Beer Company and Lockhart BBQ. 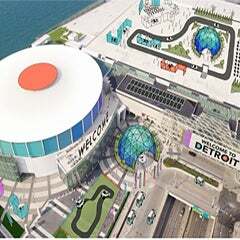 During NAIAS the Cobo Arena Food Court is featuring performances by Dennis Coffey, the Detroit musician famous for his instrumental hit “Scorpio.” Coffey appeared in the documentary “Standing in the Shadows of Motown,” and his latest CD comes out worldwide on Strut Records on April 22nd. 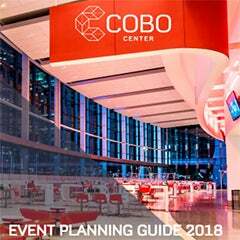 Cobo Center and Centerplate are partnering with Andiamo to open the Vu restaurant during Cobo Center events, as well as all events at the Cobo Arena and the Joe Louis Arena. Two signature Andiamo dishes along with a full bar and limited menu of sandwiches, appetizers and salads are on the menu. Detroit Beer Company‟s brews are also on tap in the Vu during the NAIAS. 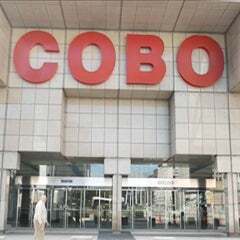 About Cobo Center: The newly renovated Cobo Center is a world-class meeting and convention facility, located along a beautifully restored international riverfront in the heart of a vibrant downtown Detroit. Elegant banquet rooms and more than 80 meeting rooms comprise 180,000 square feet of meeting space. With 700,000 square feet of exhibit space, Cobo Center boasts one of the largest contiguous exhibit floor spaces in North America. About Centerplate: Centerplate crafts and delivers Craveable Experiences and Raveable Results in 250 prominent sports, entertainment and convention venues across North America. Visit the company online at www.centerplate.com.